Launching of the great SmartSleep Experiment! The SmartSleep Experiment is part of the greater SmartSleep research project, which aims to map the behavior of the Danish population, in relation to the use of smartphones at night. The first step in this is a questionnaire that we invite all Danes from the age of 16 and up to participate in. To spread the knowledge about the project and the questionnaire we have gained the help of The Danish broadcasting company and the radio show ‘Go’ morgen P3’ who, from the 12th through to the 16th of November, will have a big theme about sleep. The first results from the experiment will be published on the SmartSleep website on November 29th. If you wish to participate in the experiment yourself, you can find the questionnaire here (in Danish only). Besides the SmartSleep experiment it is the aim with time, to collect more in-depth and nuanced quantitative and clinical data from a group of 1000 volunteers, recruited via the SmartSleep experiment. The entire project will span three years and intends to add novel and important insights to sleep research. 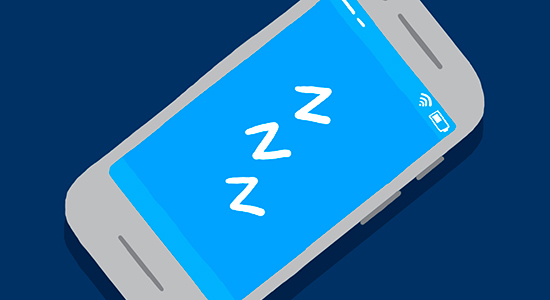 Most of the existing research on the area of sleep and smartphones focuses on the period just before you fall asleep, but very little I know about how we use our smartphones at night. We hope to change this, with SmartSleeep. Research indicates that our use of digital devices at night can have an effect on our physical and mental health. It is our hope that we, via SmartSleep, can become even more aware and clear on these correlations, so that steps can be taken against them in the future.